Most games need to make money. It’s a simple reality. In free-to-play games, this can be a formidable challenge when players are under no obligation to pay. Forcing players to pay is not a good plan - they’ll only leave disgruntled. The trick is to inspire player engagement, long-term retention, and multiple payments. But that’s easier said than done, right? We can show you how to rock a bottom line without turning off your best players, and make cash hand over fist in the process. The secret lies in data - what to measure, what to ignore, and which actions to take based on those KPIs. Using data has been proven to increase profits and player satisfaction. Sound too good to be true? 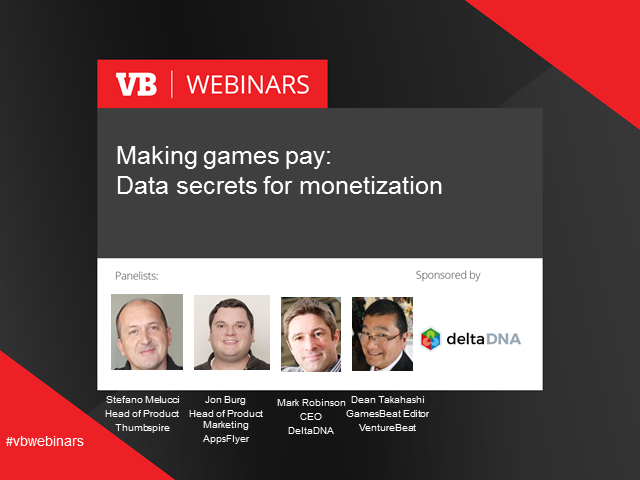 Join the webinar and discover how data covers all bases you need for a lucrative game.